James Boyce Crowder was born March 2, 1946 in Chesterfield, South Carolina. He departed this this life on February 23, 2019. James was the son of Festus and Mannie Richardson Crowder. He was one of thirteen children. James was preceded in death by his two brothers: Jazel Crowder and Bobby Lane Crowder; three sisters: Burlia Crowder Reid, Ruth Crowder Allen, and Barbara Finney (Larry). He graduated from East Union in Marshville, North Carolina class of 1966. He retired from Dale Jarrett Ford where he worked for many years. 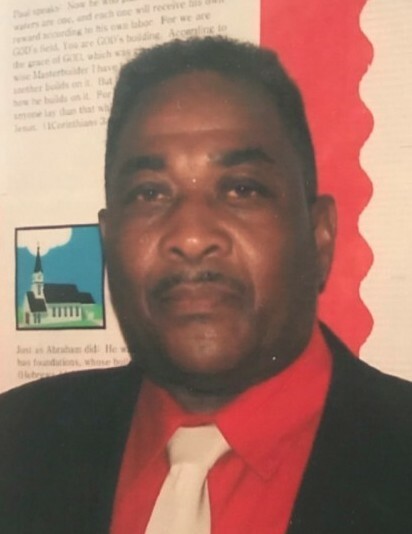 James joined the Clarksville AME Zion Church of Monroe, North Carolina at an early age where he accepted Christ into his life. He later relocated to be with his wife and joined the Blessed Assurance Church in Kannapolis, North Carolina under the leadership of Apostle David L. Smith and Dr. Linda Smith. James loved fishing and gardening. He loved Psalm 34 and would read it daily. James leaves to cherish many beautiful memories his wife: Eula Mae Crowder of thirteen years; five step children; one daughter: Brenda Walker (Justin); four sons: Homer Barrino (Taffe), Richard Barrino (Ellen), Clifford Barrino and Billy Barrino (Pretrice); one brother: Haywood Crowder (Eva); four sisters: Juanita Webb (June) Of Monroe, North Carolina, Geneva Witherspoon (Lester) of Kershaw, South Carolina, Verla Coleman and Betty Threat both of Monroe, North Carolina; seventeen grandchildren; seven great-grandchildren and a host of nieces, nephews, other relatives and friends.